Why KFC Is Developing an Edible Coffee Cup in the U.K.
KFC's new edible coffee cup. KFC isn't known for its coffee. However, with this edible coffee cup, it's giving customers something to talk – and tweet – about. The chicken chain is testing a coffee cup that is 100 percent edible in the U.K. The cup, made of a wafer lined with "heat-resistant" white chocolate, will accompany the launch of Seattle's Best Coffee – a Starbucks sister brand -- on the U.K. KFC menu. The cup was crafted though a partnership with The Robin Collective, a company dedicated to creating imaginative food like edible terrariums and the Bizarregarita, a color-changing margarita. According to KFC, as the chocolate lining slowly begins to melts with the heat of the coffee, the biscuit softens – ideally creating the perfect post-coffee snack (though we wonder how much time we'll have to drink the coffee before the biscuit softens). As an added bonus, the Robin Collective claims to have infused the cups with different scents, including Coconut Sun Cream, Freshly Cut Grass and Wild Flowers. "We have been experimenting with edible packaging to see if it could be a feasible product to bring to market in limited quantities and thought that if our customers occasionally like to have their cake and eat it, why wouldn't they want [to] have their cup and eat it instead!" KFC spokesperson Jocelyn Bynoe said in a statement. Currently, the cup is under development and not available for customer purchase -- yet. At this time, KFC says there's no plans to bring the cup to the U.S., where the chain does not currently sell coffee. 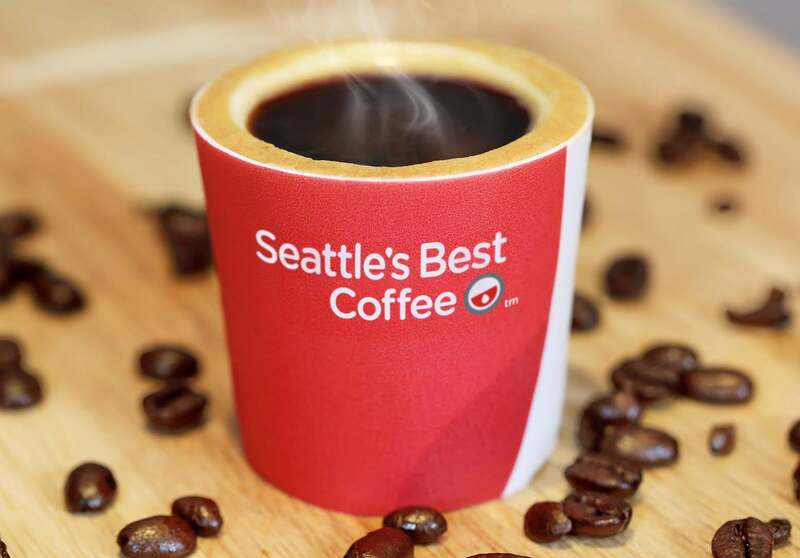 Seattle's Best Coffee has been available at select KFC locations in the U.K. since May 2014, but this is the first time that coffee will be available in all U.K. locations. By accompanying the national launch of the coffee line with a trendy cup, the company has managed to ensure that everyone knows that KFC will now be serving up coffee – a social media move worthy of Yum sister brand Taco Bell, creator of similarly buzzy breakfast offerings like the Waffle Taco. Ultimately, it doesn’t matter how many edible cups KFC sells, as long as the existence of the cup helps make customers aware that, in the U.K. at least, coffee is now on the menu.